Get it on Google Play Store – here! With this app you can search and browse through the millions of publications on the best e-paper platform – yumpu.com. 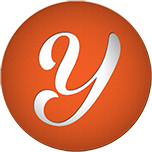 The YUMPU BROWSER app presents itself very simple and lightweight but with focus of steady development of new and handy features. Feel free to write us any suggestions you have in mind (simply click on the feedback button in the app on the welcome screen)!